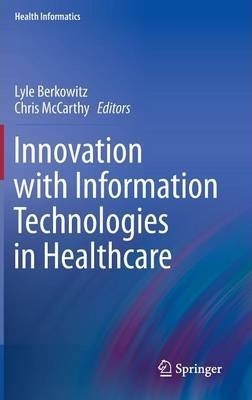 This book provides an extensive review of what innovation means in healthcare, with real-life examples and guidance on how to successfully innovate with IT in healthcare. Illustrations note 11 Tables, black and white; XVIII, 306 p.
Huge amounts of money are spent on electronic health record (EHR) and other healthcare information technology (HIT) systems each year, and the challenge is to ensure these systems are effective on every level. Simply recreating paper-based processes on these systems does not significantly improve quality, efficiency or the financial aspects of setting up these services. While there are excellent resources available on healthcare IT and others that detail innovation strategies in healthcare, there is little material providing real life examples and explanations of how to combine these two powerful tools. Innovation with Information Technologies in Healthcare thus serves to fill this gap by using real life cases to detail how information technology systems have been used in an innovative fashion to solve the types of problems faced every day in healthcare. The Editors and their carefully selected group of contributors, ranging from multi-hospital organizations to small clinics, have assembled a book that describes successful cases covering EHR, Telemedicine and other health IT experiences, in which brilliant and innovative uses of healthcare IT have improved quality, efficiency and value. Each case chapter includes a story about the impact of these HIT innovations on patients, an explanation on the origin of the innovation, details on how the innovation evolved from idea to reality, the real world results of the innovation and lessons learned along the way. Additionally, each of these chapters conclude with thoughts on future HIT innovations from each contributor. Foreword.- Preface.- The Healing Edge.- Mad for Method.- You Have an EHR. Now What.- The Inflection Navigator .- Making "Right" Easier.- Prevention Every Time.- Logic Rules!.- "All or None" Bundle Philosophy.- Automatically Getting Better.- Meet You at 01100101.- The Connected Patient.- The Virtual Consult.- TeleVisits Keeps IT Local.- Mommy Monitor.- Every Language Now.- Rise of the ePharmacists.- On the Edge of Edge.- The Smartest Room.- One EMR To Go Please.- Real-Time, Right Care.- Dashboards 2.0.- The Patient Voice Amplified.- The Gaming Edge.- Appendix A: Meet the Martinez Family.- Appendix B: Innovation Glossary.- Appendix C: Reading for Inspiration.- Appendix D: Meet the Authors and Their Organizations. Lyle Berkowitz, MD, FACP, FHIMSS, is the Founder and Director of the Szollosi Healthcare Innovation Program, Associate Chief Medical Officer of Innovation for Northwestern Memorial Hospital, Medical Director of IT and Innovation for Northwestern Memorial Physicians Group and a practicing primary care physician. He serves on the Governance Board of the Innovation Learning Network (ILN), the Editorial Board of Healthcare Informatics magazine, and the Advisory Boards for the Association of Medical Directors of Information Systems (AMDIS) and the Institute for Health Technology Transformation (IHT2). He has been listed as one of HealthLeader's "Twenty People Who Make Healthcare Better", Healthspottr's Top 100 Healthcare Innovators, and Modern Healthcare's "Top 25 Clinical Informaticists". Dr. Berkowitz graduated with a Biomedical Engineering degree from the University of Pennsylvania and is an Associate Professor of Clinical Medicine at the Feinberg School of Medicine at Northwestern University. Chris McCarthy, MPH, MBA is the director of the Innovation Learning Network (ILN), which brings together the most innovative health care organizations in the country to share the joys and pains of innovation. Chris is also an innovation specialist with KP's Innovation Consultancy. Chris has been with Kaiser Permanente since 1997, in various roles from implementing population care tools and electronic health records to redesigning the perinatal and shift change experiences. Chris has a master's in business administration from Rensselaer Polytechnic Institute (Troy, NY)/Copenhagen Business School (Denmark) and a master's in public health with a concentration in Health Policy from the University of Massachusetts at Amherst.